Jharkhand Armed Police Bokaro Bharti Recruitment Notification 2018.Jharkhand Armed Police Bokaro Bharti inviting applications for the positions of Class-IV (Cook & Washerman).Interested and Eligible candidates can apply for the positions. Applicants must complete SSC/ matriculation in order to apply and must possess physical standards as per department terms and conditions. Minimum age for applicants is 18 years, maximum age for general category candidates is 25 years, SC/ST is 28 years and for women the maximum age is 30 years. Based on written test, physical standards and interview candidates will be recruited. Mode of applying for Jharkhand Recruitment is through offline. 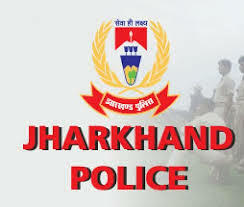 Candidates can submit applications from 01st September 2018 to 29th September 2018.
https://www.jhpolice.gov.in/ is the link to download application form and send to Jharkhand POlice Address.